There’s only one person to go to for the full Hamptons summer scoop. She’s a creative force, a loving mother, and a damn good editor! If you don’t know her, by summer’s end you definitely will. Samantha Yanks is a tour-de-force, recently taking on the role of Executive Fashion Director of Niche Media on top of her jobs as Editor in Chief of the summer favorite, Hamptons Magazine and as Editor at Large of New York’s, Gotham. With the official kickoff of summer this weekend, there was no better time to chat with Yanks and get an earful on all things summer, from how she’s celebrating the 35th anniversary of Hamptons, to what she’s looking forward to doing on the East End this summer. So, dig in! Haley Sherif: First off Happy 35th Anniversary of Hamptons! It’s a big one. Can you believe it’s been thirty-five seasons? Samantha Yanks: It’s a great honor to be the Editor in Chief at the helm of Hamptons Magazine. The brand is celebrating its 35th anniversary this season which, as you said, is a major milestone. We have been using the hashtag #Hamptons35 pre-season to begin the celebration, but this weekend, as tradition, over Memorial Day Weekend our issue finally hits! Anniversaries are a time for celebration to look back with retrospectives and look ahead to see where we are taking this great magazine. Haley Sherif: How has the magazine evolved since you first started as Editor-in-Chief? Samantha Yanks: I’ve been the Editor in Chief of Hamptons Magazine for three years, but involved with the title for nearly a decade. The wonderful part about magazines is that the soul can remain the same but the magazine itself can morph and change with the times. In anticipation of our 35th anniversary I spent quite a bit of time in our archives and what the common thread amongst the 500 plus issues I went through is that they are similar to a time capsule. You can really imagine what the Hamptons was like in 1978, the year it launched to today. Being able to put my imprint on that is a great honor. There are some cornerstone moments for the magazine that have been there for years such as The List and our event coverage (readers flip right to those photos), but there are aspects that change and new sections that get introduced. A magazine like Hanptons has to keep pace with what is happening in the community. Real estate coverage has expanded over the years because the buying and selling and building of homes has our focus on the culinary scene and local vineyards has been expanded. So too has our focus on fitness. We are a magazine that celebrates community and there is no better way to report on that than celebrating those that are philanthropically minded. When I look ahead at the content for this summer I’m quite proud of where the brand is going. HS: How are you celebrating? SY: This summer will be full of celebration for our 35th anniversary. We’ll kick off with our Annual Memorial Day Party, this year with Brooke Shields who is on the cover. The issue has a spectacular retrospective of the last 35 years. A few weeks later we have a very special 35th anniversary issue that I think will become a true collectivle. I can’t reveal too much but we’ll have an exclusive dinner and event at which we’re auctioning off for charity several bicycles designed by East End Luminaries. You will see special touches throughout the summer to honor this anniversary in our editorial and our events. Right before the season kicks off on hamptons-magazine.com I featured a list of my personal 35 Hamptons must haves for the season. HS: Hamptons season kicked off this weekend! 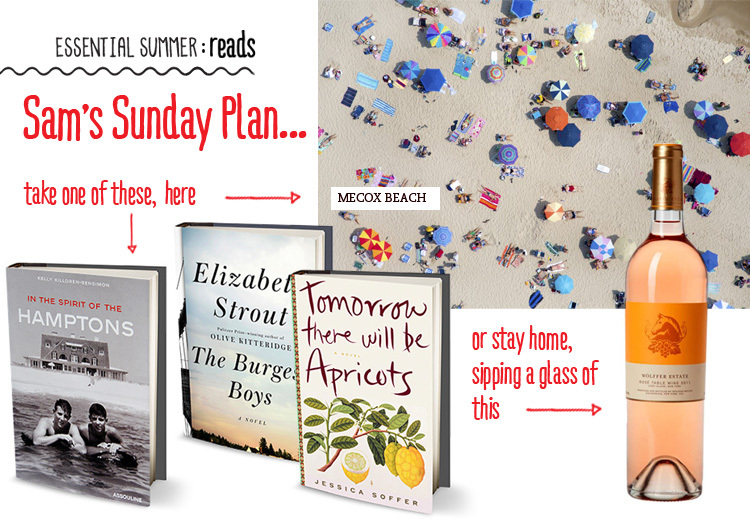 What can we expect from our favorite summer time read in the next few months? SY: The season is filled with the bold face names from those that appear on the cover to a host of new writers in our table, With twelve issues across the summer we really are able to showcase the diversity in our subjects. We have some of the world’s most celebrated athletes, chefs, actors, interior designers, and activists on the cover and the fact that they all live in our community is what makes it unlike any place in the world. HS: On a more personal note, there’s cause for celebration in your own life – you’ve become Executive Fashion Director for such Niche Media magazines as Miami’s Ocean Drive, Los Angeles’s Confidential and several others! How has that changed your day to day? SY: In addition being the Editor in Chief of Hamptons and the Editor at Large for Gotham as you mentioned I’ve taken on the role of Executive Fashion Director of Niche Media which means overseeing all of our fashion content across the titles across the country. I’ve worked so closely with the editors in all of our cities over the years and my background is in fashion so the move has been a very organic one. While we have one corporate mission as Niche Media it’s critical that our magazines have hyper local fashion. The way women and men dress in Boston versus Los Angeles is quite different and the way they buy accessories in Las Vegas differs greatly from the way they shop in Washington DC or New York. They might all be buying Chanel but what pieces they are buying differs greatly from city to city. So, I work closely with the editors, retailers, and buyers to understand those nuances. That is critical for our business. I am truly doing what I love. I’m writing this on the plane on the way back from where we shot a fashion story and everything was 100% locally sourced. HS: What are you looking forward to most about this Hamptons season? 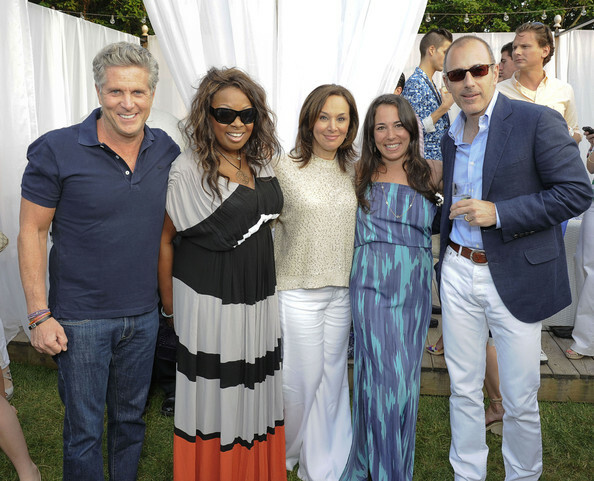 SY: Hamptons season means summertime! Working on a high content, high energy, highly demanding weekly magazine is exhilarating. 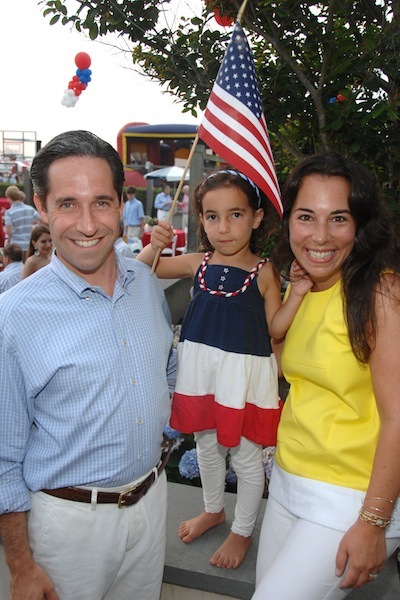 Plus our daughter Sadie loves nothing more than summer in the Hamptons. HS: Thanks Samantha for another #spyluxe chat! Here’s to an amazing summer season! Cheers!